We tramped across what they called a ‘grouse more’ today. And did they grouse – so much for the five-minute rule. 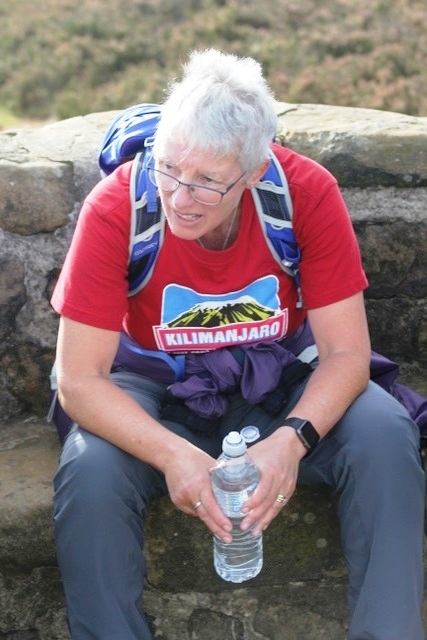 When we reached the top of Carlton Moor (or Kilimanjaro according to Maggie’s shirt) they were all a bit clapped out. This morning Harvey was looking forward to visiting a refreshment wagon he’d read about. He didn’t seem overjoyed to find it shut. Whenever I see him having a drink it’s always beer, but the rest of them say he’s always having a wine. 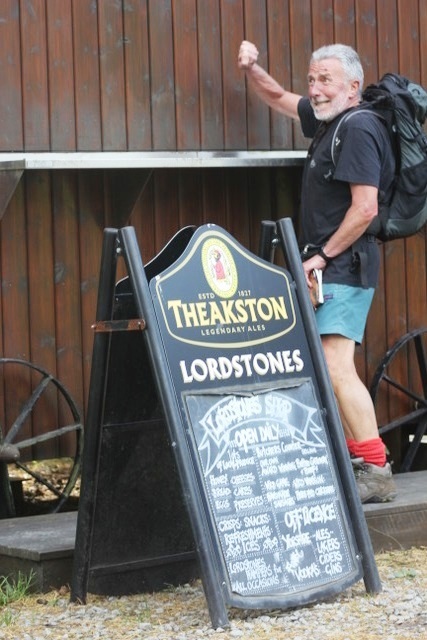 I don’t think Theakston’s even do a wine. I was amused when they started muttering about an eagle owl swooping down and carrying me off. The warning sign said they can be defensive. 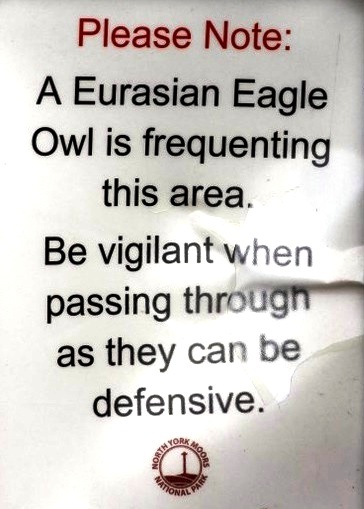 Just wait ‘til one comes beak to muzzle with an aggressive Springer. It started to rain in the afternoon and we (i.e. they) were glad to get to the pub. 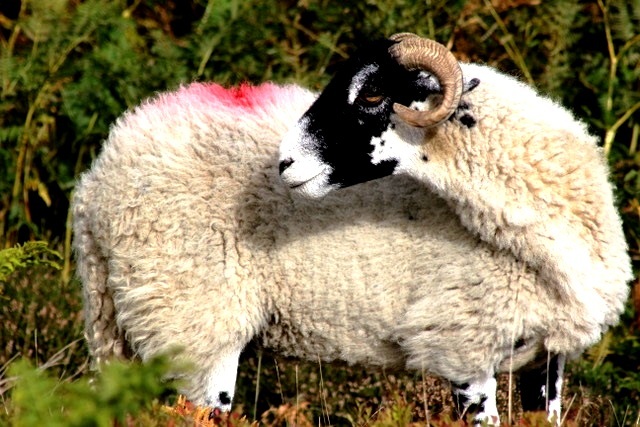 When they aren’t arguing about which is ‘sheep of the day’ they’re looking forward to drinking what they call a ‘Black Sheep’. I think they’ve got ruminants on the brain. This one was a tad careless with its lipstick.